Man’s best friends are called so because of their loyalty and dedication toward their owners. Service dogs take that dedication even further, helping people with disabilities navigate their everyday lives. International Assistance Dog Week, celebrated from August 5 to August 11 each year, is meant to honor service dogs and their trainers. Together, they have improved countless lives across the globe. 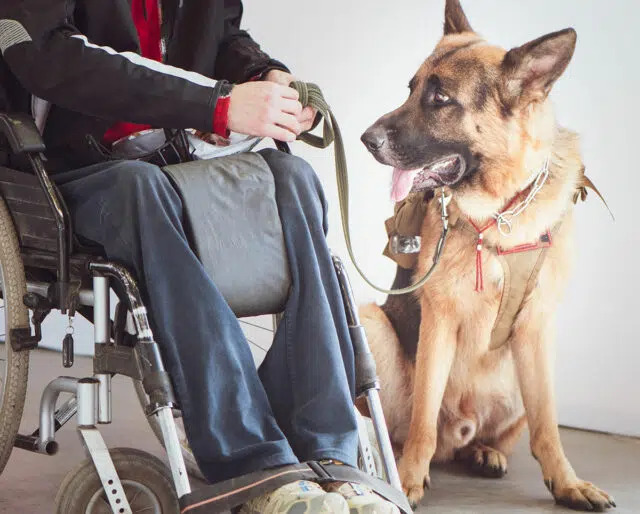 Service dogs could be guide dogs, signal dogs, or dogs in any other capacity trained to help persons with disabilities. The California-based organization began creating partnerships between people, dogs, and communities. Documented evidence suggests that dogs were used in Europe to assist wounded soldiers during war. A number of local events happen during International Dog Assistance Week. Check events in your city and volunteer to help. Use the week to help out animals in need. You could volunteer at your local animal shelter, help with an adoption drive, or even aid a rescue, if you come across an animal in distress. If no events are happening in your neighborhood, host your own. Make it a community-funded project, with proceeds going to animal welfare. John Hopkins University awarded "Kirsch" an honorary master's degree after he attended all the classes with his wheelchair-bound owner. If you are going to be away for a considerable length of time, consider leaving a piece of your clothing around. It helps alleviate separation anxiety in dogs. A Great Pyrenees named Duke was crowned the honorary mayor of Cormorant, Minnesota, for the third time in a row in 2016. A German Shepherd, Orient, helped his blind owner complete the Appalachian Trail, which is 2,100 miles long. International Service Dog Week recognizes special skills of service dogs and how they make a difference. Trainers put in a lot of hours. This week is a shout-out to all the amazing trainers out there who do such important work. The next time you see a stray on the street — show some empathy and help him out.